An Uninterruptible Power Supply (UPS) is an electrical power supply that supplies electricity a load when the mains is available as well as when there is a mains power outage. The UPS protects the loads from power failures, and interruptions such as low-, or over- voltages. The UPS takes in AC power, stores part of the energy in a backup storage such as a battery or flywheel arrangement while the transferring the rest to the load. In the event of a power failure, the UPS uses the stored energy to supply the load hence allowing one to save work and have perform a proper shutdown of the computer of any other load. All UPSs have an audible alarm that warns the user that the mains power has gone off. There are four main blocks in majority of the UPSs. These include the rectifier/charger, energy storage device such as a battery or flywheel, inverter and a static bypass switch. The rectifier performs two main functions, one is to convert the ac mains to DC and the other is to charge the batteries and maintain them at their float voltage. There are two types of charging, one is a three step charge; fast charge up to 90 %, slow charge from 90 to 100% and charged turns off when the battery is fully charged. The other type involves trickle charging to keep the battery at the float voltage. Most UPSs use batteries to store the electrical energy in the form of an electrochemical energy while others use flywheels to store the energy in the form of kinetic energy. The batteries are charged when the ac mains is present and then discharge during the power outage. The backup time is largely dependent on the battery capacity and state of the batteries which usually have a lifespan of about two years. As they degrade, the backup time reduces until the UPS cannot hold any more and they have to be replaced for continued backup. 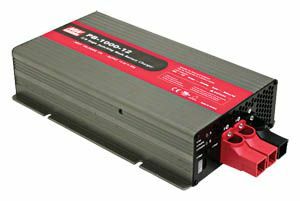 The inverter accepts the DC power from either the rectifier or the battery. It then converts this to ac power to supplies to the load. Once the batteries run out, the UPS shuts down and drops the load unless an external power source such as a generator or the utility begins providing power to the UPS. The inverter can get DC power either from the ac mains or from the batteries and will operate as long as there is enough power to drive it regardless of the source. The static bypass switch is often used in the online UPS and bypasses the main components of the UPS (rectifier, inverter and batteries) to supply the load directly from the mains. When in the bypass mode, the load is not protected against power failures. The feature is useful and allows the load to continue getting power even when the internal components fail. In bigger UPS, there may be a manual bypass switch that completely isolates the UPS from power. This allows one to safely maintain or repair the UPS while the load is still getting power directly from the ac mains or from the generator. Other optional features include the Transient Volt Surge Suppression (TVSS), the External Maintenance Bypass and monitoring software (SNMP). These are not mandatory; however, they offer extra protection, flexibility and monitoring/ automation ability. There are different kinds of UPS designs, each has its advantages and pitfalls and have varying features, abilities and costs. The least expensive UPS charges the battery when the mains power is active and utilizes the battery power when an outage occurs. It does not provide protection against power surges and sags and is not suitable for sensitive loads that require protection and stable power. The load gets power directly from the mains unless there is a power failure when it starts getting power from the inverter. The line interactive combines the charger and the inverter. The combination charges the battery and while supplying the load with AC. The AC power is the primary source for the load and when it fails, the charger stops working and the inverter starts converting the DC from the battery to AC for the load. 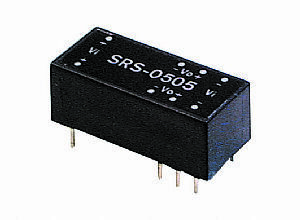 This type has less switching transients and has a faster changeover from mains to battery power. It provides more protection and is more expensive than the standby. This offers the best protection from both utility power outages and quality issues. 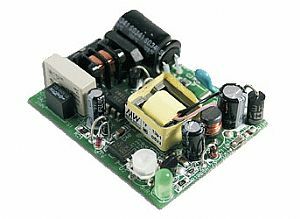 It converts all ac power to DC which is used to charge the battery and feed the DC bus. The power on the DC bus, either from the battery, or from the rectifier goes to the inverter where it is converted to AC and fed to the load. The rectified DC charges the battery while the remaining is converted back to AC by the inverter. This is the most expensive, has lower efficiency due to the double conversion and is also expensive to run due to more heat losses. The online UPS is the most reliable and provides the best protection for sensitive equipment such as data centers. The UPSs are available in a variety of shapes and physical designs to suite different applications. Desktop computers often use standalone UPS, while a bigger loads such as server rooms or office blocks use a floor standing UPSs. In data centers, it is common to find high power density, rack mountable UPSs which are often installed in the same rack as the servers and network equipment. 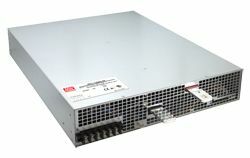 Large UPSs come in their own racks and are scalable to provide more capacity and runtime. In addition, they have redundant parts such as power modules and batteries which are hot swappable. The UPS protects electronics equipment against power losses, spikes, fluctuations and abnormal shutdowns which can damage the electronic components, cause loss of data or spoil some of the electromechanical components such as hard disks and other motor driven components.